anyone want a free chicken? I started this post seven days ago. Every time I try to finish it, I hit a wall at the corner of boring and dull. In the last 10 years of blogging, I've hit that wall many times, but it seems like I can't put myself back together this time. This morning I said to myself "I hope I didn't leave my keys in that store." I thought this as I was sitting in my running car at a traffic light. In case you're wondering, I'm firing on all cylinders over here! * Last week we visited with Christopher's family in West Virginia. I've driven through but never spent any amount of time in the state before now. We stayed in the capitol the first night and I can't say I would want to live there. As I was paying at CVS, the cashier looked at me and said, "Stay safe out there." I'm going to assume he doesn't work for the tourism board because no one will be slapping that on a billboard at state lines. Turns out he was right because the next day we almost got mugged. 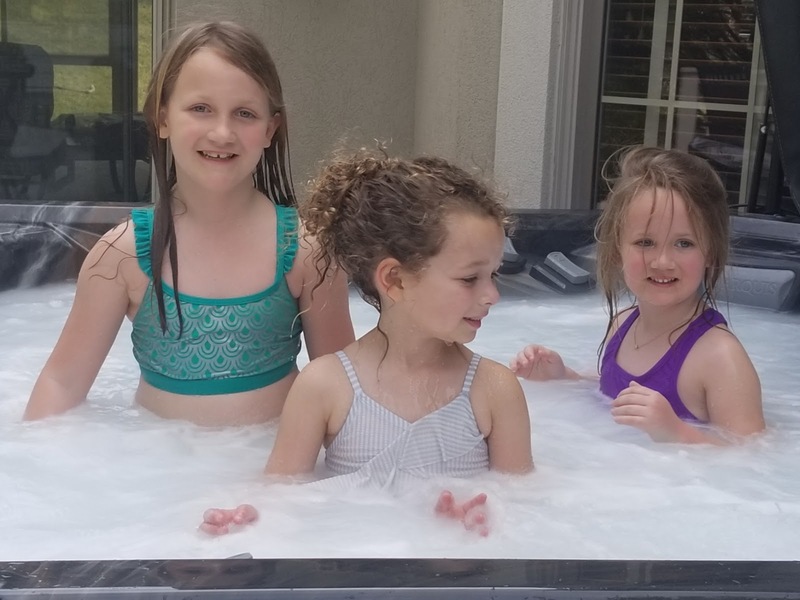 Annabelle had the best time with her cousins, especially the girls. They played together for hours and she loves sleeping in the same room as Emmy. It was so cute to see them all bouncing around. We went to a children's museum and AB learned how to change a tire. I hope she'll do all the work if I ever need her to because changing tires isn't something I can do. 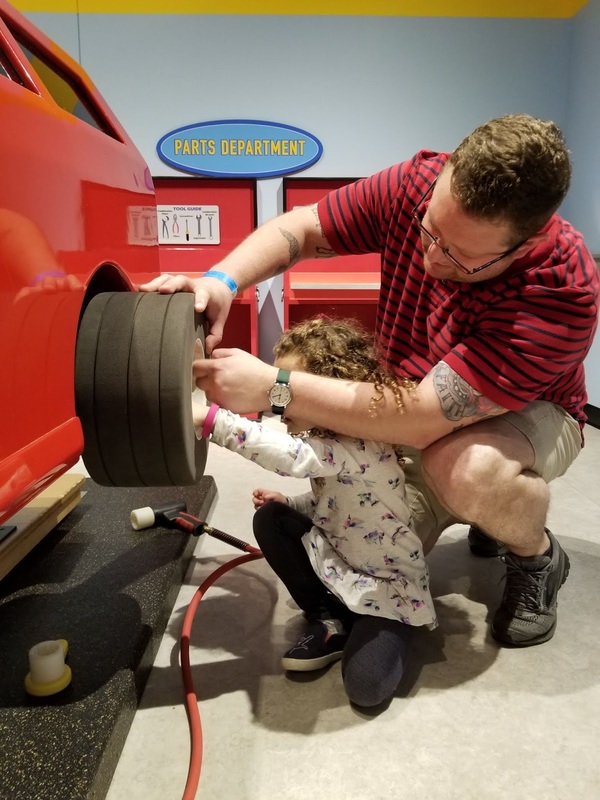 Speaking of changing tires, you know how many cars have the spare tire in the back? I was getting something out of my trunk recently and I lifted up the floorboards and found bags of craft supplies I didn't unpack from when we moved here 14 months ago. I'm not proud of it but if they have a home under there why move them? It will be easier to keep them there until the next move than try and find a spot for them in the house. * The week we moved in I painted AB's room yellow. I printed bird pictures for the walls, made a bird mobile and put a large stick over her bed and hung little cloth birds off it. It was fine. I didn't love it but it worked. For the last few months when I rocked her before bed, I'd think about changing it up. I wanted to buy a chandelier but Christopher was not on board. I've been campaigning for a chandelier since I was pregnant but so far no chandelier has appeared. Lucky for me, the traditional 15th anniversary gift is crystal so I just have to stick it out for seven more years! I didn't want to repaint the entire room so I spent many a minute on pinterest looking for easy ideas. My time on pinterest is probably directly related to how far behind I am in laundry. I ordered a tree wall vinyl. I bought four fake branches from HobLob to create a suspended branch situation over her head. These are the things that happen when I have nervous energy! It was getting a little out of hand. In the end, I painted her dresser white, printed new bird pictures and called it a day. I like it so much better. 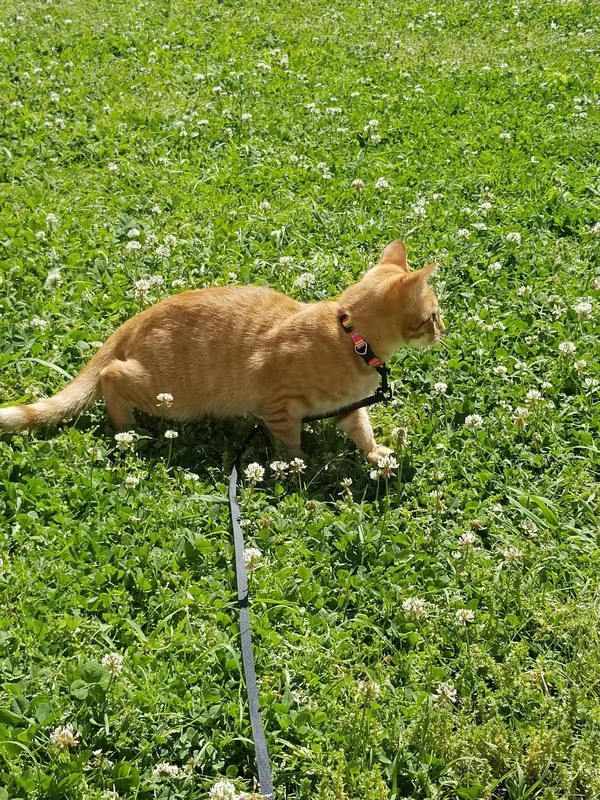 * I am trying so hard to not become a cat lady, but sometimes I take the cats outside on a leash so I think that ship has sailed. One cat will sit on the windowsill and watch the cat who is living in freedom outside. There's always a lot of meowing and scratching at the window until I give them a turn. This has started to backfire because Lucy thinks anytime the door opens is an invitation for her to run out. We were late for school last week because she got out the door. Annabelle is not helpful in these situations. I was holding my purse, the keys, my phone, library books to return, a bag of Walmart returns and my water bottle. I didn't have an extra finger, let alone an extra hand to grab the cat. AB had nothing but her backpack on her back and a small toy in her hand. "Oh dear, Mom! Lucy is out! Catch her, Mama! Catch her! Don't let her run away!" It didn't occur to her to help catch the cat. We got Lucy in but Linus ran out. We got him and AB didn't shut the door fast enough so Lucy ran out again. I finally got her to school and I swung by DD to get an iced coffee. 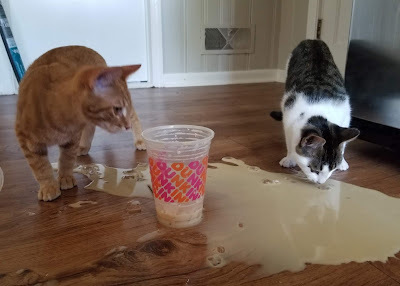 I dropped it before I had a chance to take more than a few sips and the cats were more than happy to help with the clean up. 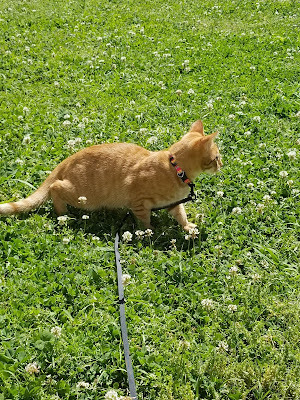 Sesame has started making comments about the gender of the cats thanks to the clear view provided by their frequently upright tails. At the same time, I'm been having conversations with her about modesty and privacy. Last night I made a comment about Lucy walking like a lady and Sesame said, "That's because she's keeping her privacy tail down." "Her privacy tail" I love it!!!! We need an AB quote book. I love the posts about the kittens, they crack me up! 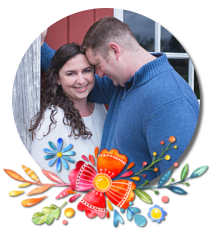 Army wife, mother, borrower of all the cute children I come across, laugh-er at very inopportune moments, and matchmaker. I am an excessive user of commas, parentheses, italicizing, and exclamation marks. I'm proud to say I can hang a spoon from my nose. Clearly my talents are just endless. All photographs and posts are copyright and the sole property of Dandelions and Daffodils unless otherwise noted.